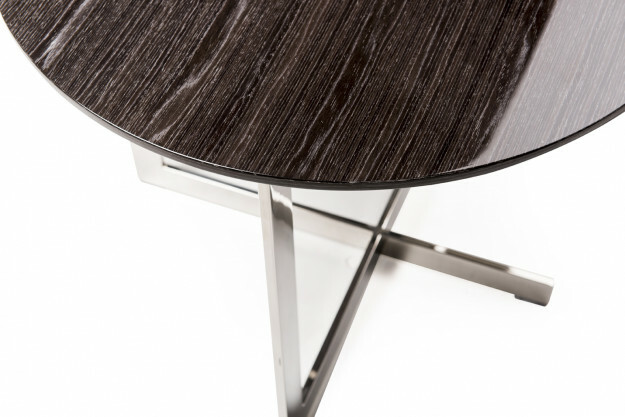 Trendy, functional and practical are the key words to describe this side table. Round shape of table top is created with veneer wood varnished in high gloss, supported by stainless steel base is a simple geometric design with minimalistic approach. Small in size yet highly functional. The sturdy stainless steel base provides longer durability and resistance to even the harshest of environments. It is a stand-alone series that fits in every décor.